Fair or unfair, your home’s exterior is the measuring stick many use to determine not only its value, but also the time and effort you put into maintaining it. Your landscaping plays a huge role in its overall appearance. Step outside and take a good look at yours. Is your lawn a uniform shade of lush green, or is it spotted by yellow patches? Do your flower beds look like they got the TLC they needed this spring, or are weeds pushing your annuals and perennials out? How are your trees doing? When was the last time they were pruned? While analyzing these things, you’ve likely begun to make a mental checklist of tasks that need to be done. We here at Southern Exposure Landscapes, LLC can check every one of those off for you. We proudly serve both home and business owners in Foley who are looking to take their landscapes to a new level. No matter your situation, we can help. Whenever people stop and gaze at a beautifully designed and maintained yard or garden, the sight and splendor often cause them to overlook all of the many components that go into it. That’s fine; we’d rather it be that way. Most of our work takes place behind the scenes. If we’re doing our job right, it means that all you have to do is enjoy the beauty and serenity that your landscape offers. Did you just move into a brand new home, and now want to get your landscaping started off right? Does your schedule not allow you the time needed to ensure that your lawn and garden stay looking their best? Are you looking to rejuvenate the area surrounding your office building so that clients will be impressed the moment they show up? You can count on us in any of these scenarios. 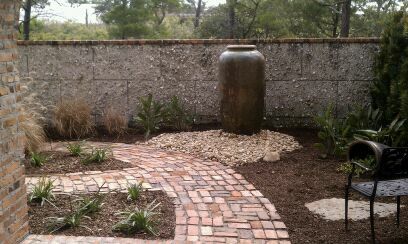 We’ll help you to design a landscape that optimizes your available space. 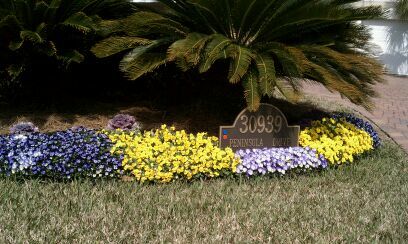 We can consult you on where the best place to put flowers beds, trees, and shrubberies may be. We’ll help layout the plan for your sprinkler system, ensuring that you get adequate water to all areas. Once the ground is ready, we’ll move on to grass, plant and tree installation, and then remain close by to help with all of the task needed to maintain your new yard, such as aeration, fertilization, weed control, and mowing. We’re fully licensed and insured to offer all of our services. Underneath all of those weeds and crabgrass is a beautiful landscape just waiting to break out. We here at Southern Exposure Landscapes, LLC are ready to make it happen. Whether you’re looking for a full-service landscaper or simply need a professional to help supplement your own efforts, we’ve got you covered. Together, we’ll get your yard looking great again. To schedule an initial consultation, just give us call at (251) 747-2754 or take moment to fill out our online contact form.